I had the distinct pleasure and honor of sitting down with legendary recording artist Martha Wash on Monday, May 24 right before she took the stage at the QSAC "Got Talent" Grand Finale benefit. Warm, personable, and inspiring are just three of the many wonderful qualities I found while interviewing Martha. She is a true legend in the music industry as well as a Grammy Award nominee. From Two Tons of Fun to The Weather Girls to a soaring solo career, Martha has done it all. Her career started in the late '70s as one half of the disco group Two Tons of Fun where she found herself singing with the one and only Sylvester. In the early '80s, Two Tons of Fun transformed into The Weather Girls and spawned the Grammy nominated, international smash cult classic hit "It's Raining Men." The Weather Girls disbanded in the late 80s and Martha went out on her own in the early '90s recording songs for many artists including "You're My One and Only (True Love) for Seduction, and "Everybody Dance Now" for C+C Music Factory, as well as "Everybody Everybody," "I Don't Know Anybody Else," and "Strike It Up" for Black Box. While she was one of the most sought after session singers, Martha paid a heavy price for lending her voice and talent to Black Box & C+C Music Factory. She didn't get the credit she deserved on the record nor she she get to appear in any of the music videos because during that time, execs wanted a "more marketable image." 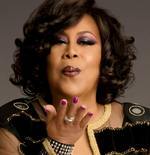 Being the strong and powerful woman she is, Martha soon proved who the real talent was behind those visuals when she went on "The Arsenio Hall Show" to promote her first solo self-titled album, "Martha Wash" and sang "Everybody Dance Now." After that, nobody questioned who made those earlier groups so successful. Martha's album produced three #1 dance singles: "Carry On," "Give It To You," and "Runaround." In 1997, Martha joined forces with Jocelyn Brown and together they produced two #1 singles: "Keep on Jumping" and "Something's Going On." Following the success of those singles, Martha released her second solo CD "The Collection" which featured songs from her two decade career as well as the new singles "Come," "Catch The Light," and "It's Raining Men...The Sequel" which featured the one and only RuPaul. In 2000, Martha collaborated with Small Voices Calling by recording "Listen To The People" on their CD "Sounds Of A Better World," which is a project benefiting various charities to help find ways to support children in their environment. The positive message of hope and inspiration captured audiences and gave Martha another hit single. In 2004, Martha launched her own record company Purple Rose Records and the first single "You Lift Me Up" soared into the Top 5 on Billboard Magazine's Club Play Chart. 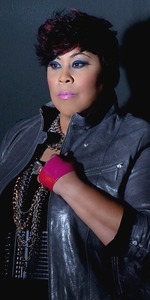 Martha is currently recording material for a project of inspiring and uplifting material...so stay tuned and in the meantime, be sure to visit: http://www.martha-wash.com for more on Martha and her illustrious career. 1. Who inspired you to become a performer? I don't think there was any one person who inspired me to be a performer. I just knew I always liked to sing as a child growing up. It was just a gift. There were many people that influenced me, Mahalia Jackson and Clara Ward because I could only listen to Gospel music growing up, but when I became a teenager it was Aretha Franklin. 2. What is the highest and lowest note you can sing? Ooo, good question. I have no idea because my range has changed over the years. I could hit a C over middle C, but now it's more like a G over middle C. My lower range has gotten lower...I could sing a tenor part or maybe even a baritone. I miss being able to sing my high notes. 3. Who is the one person you haven't worked with that you would like to? Aretha Franklin. I've never met her, but I've come very, very close about 2 years ago when she was doing a show at the Apollo Theater and a friend of mine was going to take me backstage to meet her and as it so happens she was not receiving any guests that night and was too busy trying to take care of business. We waited about 1/2, but did not get to meet her. I met her sister a few years ago and told her I wanted to meet Aretha, but it just hasn't happened yet. 4. Is there ever a time you thought about quitting? If so, what career would you choose? I thought about quitting quite a few times over the years, but something keeps pulling me back. I think that's the singing part. The business part I don't particularly care for, but the singing yes, always liked to sing, it's just dealing with all that other kind of madness I don't like. What would I do in the mean time, I don't know. There is nothing really concrete that I would get into. 5. What is the best advice you've received? I was in high school and always had music class and after I graduated and started singing with Sylvester, I realized that everybody's not going to like you or what you do. So you have to be prepared for that. Signing the first record contract with the record company and them trying to figure what to do with Two Tons of Fun at that time was kind of an eye opening experience and made me realize that not everybody's going to like what you do. If you are going to get into this business, be prepared for a lot of rejection. Every "No" doesn't mean there won't be a "Yes." If you can hold onto the "No's," and realize there will be a lot of "No's," but also continue to look for the "Yes" and know there is a "Yes" out there and multiple "Yes's" as well. I learned to roll with the punches and not let it affect you so much that you give up on what you may want to do, but just keep going and sooner or later the "Yes" will be there. 6. What is your proudest moment? My proudest moment was performing before President Bill Clinton at the White House. It was the last year, it was the last Christmas dinner in the White House. It was kind of like a dream that happened because four days before I was at the White House, they were doing their annual Christmas special on TV of the first family showing the White House at Christmas time and Mrs. Clinton was doing the tour. I was watching the whole show and looked at all the decorations and stuff like that and loved it. Maybe two days after that I got a phone call, "Would you like to sing at the White House?" I said, "Ah, yeah" and two days later I was at the White House. When I walked through there I was looking at all the things I saw on TV four days earlier. I was looking at them in person. That was very, very surreal kind of thing to happen so quickly. 8. Favorite meal? I like Fettuccine Alfredo, I like Fettuccine Primavera. Mmm...I like pasta. I also like to have some vegetables in there. 9. Favorite website? I don't have a favorite website. I try to stay off the internet as much as possible and use it only for work.